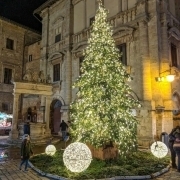 Festivals, theater, and concerts – Montepulciano has too many events to list! The main pillars of life in Montepulciano are the Arts and Culture, and this town knows how to celebrate them. Each month, there are events that take place in Montepulciano that must be experienced. The list below contains only a few of our favorites. During your stay at Fonte Martino Guest House & Estate, we will happily update you on current local events. A wine lover? This event takes place in February and is dedicated to all wine enthusiasts, from beginner to advanced. Carnival is celebrated in Montepulciano complete with a costume procession through the ancient streets leading to the historic center of town. This event occurs on the Sunday before Mardi Gras. Love chocolate? Indulge in this amazing chocolate fair with handcrafted chocolates, aperitifs, workshops and guided tastings by expert pastry chefs and chocolatiers. What better way to celebrate the Easter season than with enchanting music concerts held in the picturesque churches and theaters of Montepulciano. Witness this annual historic procession through the ancient streets of Montepulciano in honor of Sant’Agnese. Held in late May, this weekend event is dedicated to wine. Visit numerous wine cellars, let the winemakers share their secrets, and taste the incredible locally-made wines. Held by San Biagio just below the towering town of Montepulciano, this festival includes amazing food and displays throughout the day. In the evening, witness jousting competitions that will remind you of days past. The prestigious Cantiere Internazionale d’Arte (International Art Workshop) is the spotlight of July. This month-long event is a feast of music, art, theater, and dance. This is not to be missed! This amazing festival occurs on the last Sunday in August in honor of the patron saint of Montepulciano, San Giovanni Decollato. The 8 Contrada (districts) of Montepulciano compete by rolling 176 pound wine barrels up the steeply inclined streets. They race to be the first to claim the coveted Bravio, a painted cloth, the pride of their Contrada. This three-day sporting event takes place at the end of September. There are competitive and non-competitive events for everyone set in the beautiful landscape of the Tuscan countryside. October brings the harvest of oil-rich olives used to make the highest quality extra virgin olive oil. What better way to celebrate the harvest than with the Olive Oil and Autumn Flavours Festival! 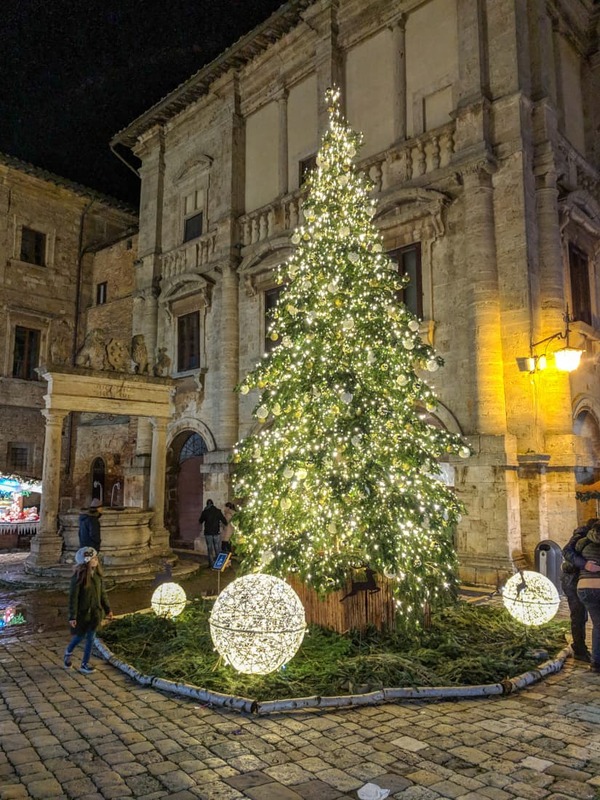 Starting late November and lasting through the first week of January, Montepulciano turns into a festive Christmas Village. With the streets lit by endless hanging lights, you will think you stepped back in time. Piazza Grande magically transforms into an outdoor market full of wonderful treasures and delicious treats. Enjoy skating on the ice rink all while being entertained by the angelic carolers, and of course Santa’s Castle shouldn’t be missed!